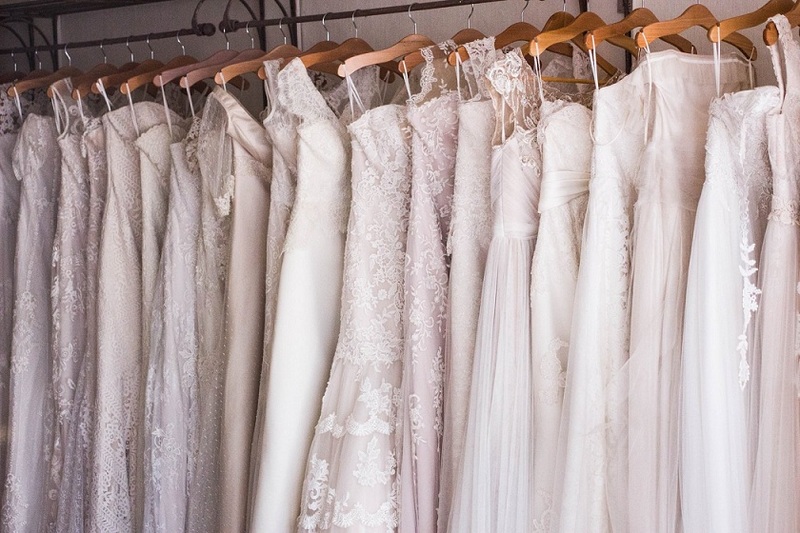 While thinking about which wedding dress you should choose so that you can look the most stunning on your big day, it’s advisable to consider having lace on your wedding dress, no matter which fabric or style you choose. This is because the lace is a go-to material which makes even an ordinary piece of clothing look amazing because of its grace, delicate structure and timelessness. Laces are being used on dresses, especially wedding gowns since long due to their versatile nature and romantic air. Here’s some more information about lace. 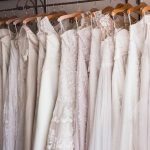 You may be surprised to know that laces are of various types and each type offers a different look to the wedding dress due to its texture and layering. To choose the one that most suits you, you should know these various types. Alencon is the needlepoint lace that was invented in France. It usually has a floral design on a transparent or net background. This type of lace has soft, cottony texture. Brocade is typically made from colorful silk threads and is accented with silver and gold threads. Therefore this type of lace looks rich and is usually incorporated with highly decorated shuttle-woven material. Eyelet lace is often made with satin, silk or cotton and is light and airy. If you want a boho touch added to your gown, this flirty lace is a perfect choice. Chantilly is a French lace created by braiding and twisting lengths of threads around bobbins. It’s rich with patterns and detailing and is typically made with silk or linen. Embroidered lace typically features delicate patterns stitched tightly on an illusion base, creating a look of an applique. Usually, pieces of embroidered lace are applied on tops of a separate tulle layer. Also known as guipure lace, Venetian lace is a stiff lace without a net background. Its patters are made by a succession of tight, embroidered stitches on fine fabric. Knit lace is a soft type of lace without backing, creating a more supple fabric that outlines the body with ease offering a lovely look to the dress. All these lace types have their own beauty and you should examine each of them to find the most preferable for you. Visit OrlandoBridalWarehouse.com for some of the most beautiful wedding dresses, bridesmaid dresses and prom dresses. Watch some of their lovely dresses here and many more on their website.